Charming 2 story traditional sits on quiet cul-de-sac in Mtn Park Elementary district. 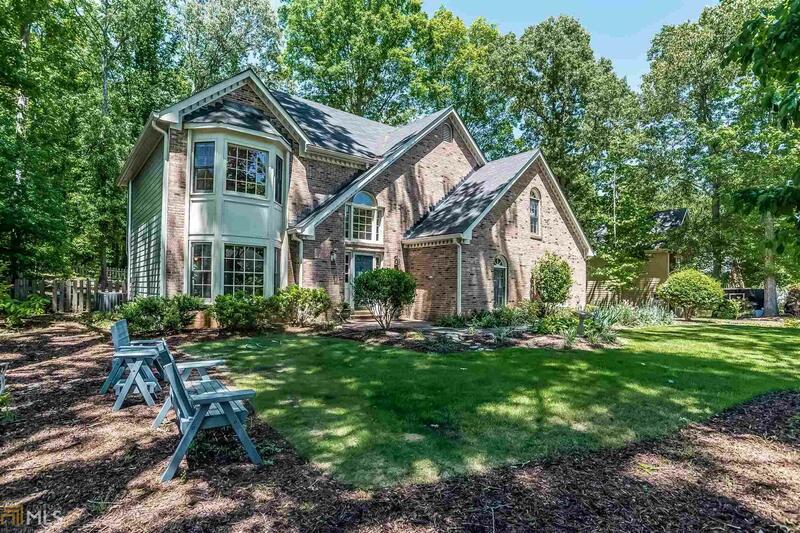 Updated lighting, granite kitchen countertops, fresh paint, hardwoods at 2 story foyer, bay windowed living and formal dining room, large eat in kitchen opens to family room fireplace & built-ins bookcases, vaulted Sunroom addition and deck overlooking fenced, level back yard. Large Master suite w/trey ceiling plus walk-in closet. 2 more spacious bedrooms and bonus/possible 4th bedroom and secondary bath, laundry room upstairs. This beautiful swim and Tennis community offers lovingly maintained home as good start for inspired buyer ready to make their own. Directions: Highway 92 West Past Roswell High, Turn Right On Highland Colony Dr. Continue To End, Turn Right On Bridle Ridge Trace, Then Turn Right On Trotters Ridge Way. Take Next Left Turn On Riding Trail Ct., Home On Left.